Later topic: When was my press made?? Earlier topic: Type identification wanted. 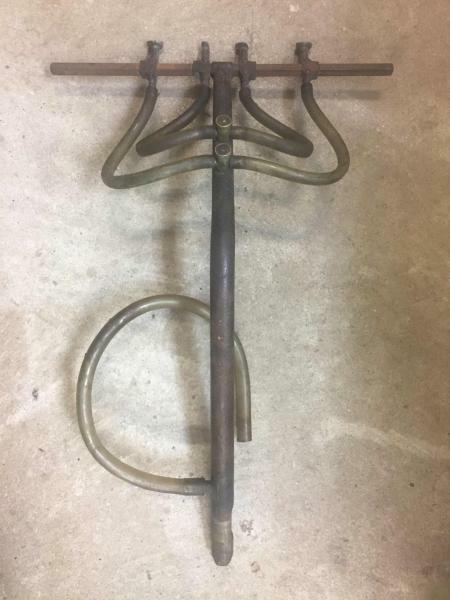 1) Can anyone help me identify verify they do go to a Kluge? 2) Anyone here think they can put them to use? They do me no good in my garage. 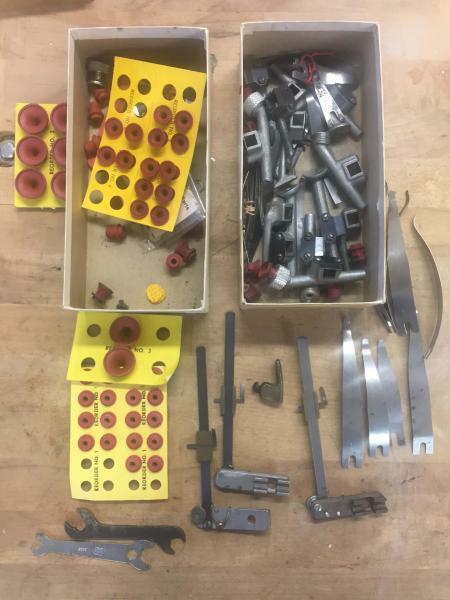 Yes, Mike, these are definitely feeder parts for the Kluge automatic presses, and should be very useful to Kluge owners on the list. I am not one of these folks, however. Look up Ted Lavin from MA. I know he has a Kluge, he may need the parts. are you going to sell these?